Cisco Valet – Making our lives easy.. If you are not tech savvy and have always had to call tech support or geek squad to setup your wireless router, here is your ultimate solutions, the Cisco Valet! 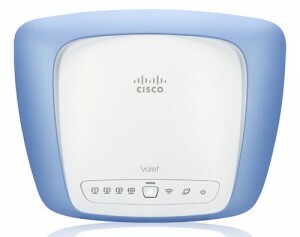 Cisco released a new wireless access point that it promises boasts of an easy setup. The routers cleverly named as “Valet” promise instant setup and hasslefree use. Setup is very easy. The router comes with an easy set up usb key that you plug into your computer while the router is powered up. The usb key automatically sets up the computer to talk to the router and voila, you are ready to go! The setup usb key is then used on all other computers at home for automatic setup. When compared to setup from other routers the Valet is much faster and efficient and has the ability to automatically setup and sync the WPA keys between systems. It also comes with features such as parental controls and the ability to remember the SSID and login credentials of guests so next time guests can log on faster without having to go through the entire setup. Cisco has introduced three models pertaining to the Valet line of routers for small and medium homes which are priced at $99.99. For larger homes, the Valet Plus router at $149.99, and Valet Connector which is a wireless adapter for computers at $79.99. You are better off buying the cisco valet rather than paying $200 to Geeksquad. Next Israel bans iPad imports – Blow to iPad?